First, we would like to thank you very much for your interest Sr. Baena. It's a great pleasure to have you as a guest in Bak Magazine. The pleasure and honor is mine. I thank you guys for this. In 1994, you moved to United States to study. How did you feel while leaving your home town, Madrid? Why did you choose United States? I chose the US for many reasons. For once, I wanted to learn english... I always wanted to. Then, I wanted to study Art also in the US. Also, at the time I was pretty involved in skateboarding, and the city of San Francisco in the early ninenties was pretty big in the skateboarding scene so, basically it was a combination of things. It was really hard to leave Spain... But at the same time I knew it was a good thing. I do miss Spain all the time. Especially when your entire family lives there. First, you begin working for Will Vinton Studios in which you worked for the commercials for M&M's. Do you remember how you started there? Yeah, I do remember. I was pretty intimidated since it was my first job...but I was lucky that the people I was working with were very helpful and patient with me. I was working on M&Ms international commercials...and then at night time I had the opportunity to practice Stop-Motion on one of the sets where they had animators practice for a TV show called the "PJ's". Stop-Motion turned out to be extremely hard... But one seriously good learning experience from an animation point of view. After two years' time, you started working for Industrial Light & Magic. Perhaps this is one of the most exciting parts of your story. Here, you worked on well known movies like Jurassic Park III, Star Wars Episode 2: Attack of The Clones and Men In Black 2. Can you please tell us about your working process in these movies? Well, at ILM most of the work I did was realistic...whether it was stunt human animation to creatures. Whether you do cartoon animation or realistic animation, they each present their own challenges. At ILM it was the fact that you have to animate characters in such a way that would seem like they live in the same world and feel natural. So I tried to study as much live-action reference of animals, sports footage, etc. It did help me a great deal. And the process itself is similar to that in any other studio. You have your meetings with supervisors to review the work on a weekly basis...or what's usually called "dailies". In there pretty much all animators give feedback along with supervisors. Also depends on the dynamics of whatever show I'd be working on. Each show was different. I would also get as much feedback from other animators. This came in handy and was a big help for me, mostly because it forced me to push my work, and not just do the bare minimum. Some animators I got to work with are very critical in a very constructive way so that was great to really put me in my place in pretty much every single shot I was assigned to do. Did you have chance to meet George Lucas personally? After such a great success, seeing your name under the outstanding films of Pixar, "Finding Nemo", "The Incredibles" and lastly "Cars" is not a surprise. Your Pixar adventure started on June 2002. How did it happen? When I was working at ILM, after a while I knew I was missing doing cartoony/acting type of stuff. I love realistic animation, and it was great learning for me...but I did feel a big part of me wanted to learn more on the cartoon/acting area. Pixar was always in my head. I applied a million times, and each time I did and got a rejection letter was a reminder that I needed to work harder, keep learning and also having fun as that would hopefully be reflected in my work. So, around the time I was working on "Men in Black 2", the opportunity to come to Pixar was presented, and I didn't think about it twice. I knew I was going to greatly miss working with many people at ILM...but in terms of the work, I knew deep inside Pixar is where I wanted to go. Almost 4 years later, I'm still as excited...and both the projects I've gotten a chance to work on as well as the projects I have coming up I feel extremely lucky to be a part of. This is a difficult and maybe a nonsense question but... Can you tell us which Pixar movie do you like most and why? I think for me is pretty much in between "Incredibles" and "Cars". For different reasons. I grew up being totally into superhero comics and cars so that has a lot to do with it. Both experiences were amazing to work with. Learned a great deal from both Brad Bird and John Lasseter. "Cars" I worked on the longest I've worked in any film at Pixar, and I was trusted to animate more challenging acting films. So I personally enjoyed that experience more. You should feel pressure on you while deadlines are coming closer, like we all do in these kinds of works. But especially in the animation, there is a process that really needs patience: rendering. Which softwares and what kind of computers do you use for modeling and rendering? You know, on the technical side you get me. I'm not as familiar with other technical areas at Pixar. I don't think I'd be the right person to answer that question. What is your greatest aim for the future? You know, I've been enjoying doing music on the side, mostly composing and scoring. It's something I always wanted to be more involved. I've been also learning a lot in terms of storyboarding / editing. I'm guessing my aim for the future is to keep working on great films at Pixar, keep working on my projects to learn on filmmaking areas I'm interested in learning, maybe have more of a social life which lately I've been lacking... and I hope I'm having a lot of fun while I do these things. It's pretty important for me to enjoy whatever it is that I'm doing or else something is missing. Which kinds of music are you listening? About 2/3 of my music collection are Film Scores... I get a lot of inspiration from that. Then, the rest is a mix of industrial music/electronic and hip hop. Theme of our third issue is "old". What does this word mean to you? What do you remember from the old days? What do you miss much? "Old"...is many things. I remember from the old days the excitement of waiting in line to see the Special Edition StarWars in 97 in a big theater. So many people waiting extremely excited to see a film and to see it all together and to scream all together. It was a scene I'm not sure will be repeated much more often as home theaters become more popular and more and more Multiplex Movie Theaters open. The feeling of the old movie theater is something I miss somehow and something I would definitely want it to remain as the years go by. Öncelikle ilginize çok teşekkür etmek istiyoruz Sayın Baena. Bak Dergisi’nde sizi konuk olarak görmek büyük bir zevk. Zevk ve onur bana ait. Ben teşekkür ederim. 1994 yılında okumak için Amerika’ya gittiniz. Eviniz Madrid’den ayrılırken neler hissettiniz? Neden Amerika’yı seçtiniz? Amerika’yı seçmemin birçok sebebi vardı. Bir kere, İngilizce öğrenmek istedim... Hep istemiştim zaten. Sonra, sanatı da ayrıca Amerika’da okumak istedim. Ayrıca, o sıralar kaykay yapıyordum ve San Francisco 90ların başında kaykay alanında bir numaralı şehirdi. Yani temelde birkaç sebebin birleşimiydi. İspanya’dan ayrılmak gerçekten zordu ama aynı zamanda da bunun iyi birşey olduğunu biliyordum. İlk önce, M&M reklamları için çalıştığınız Will Vinton Stüdyolarında çalışmaya başladınız. Nasıl başladığınızı hatırlıyor musunuz? Evet, hatırlıyorum. İlk işim olduğu için oldukça gergindim...şansıma birlikte çalıştığım herkes bana karşı çok yardımsever ve sabırlı davrandı. M&M’in uluslararası reklamları üzerinde çalışıyordum...geceleri de "PJ’s" diye bir televzyon şovu için animatör çalışmaları yaptıran bir sette Stop-Motion çalışma fırsatı buluyordum. Stop-Motion oldukça zor çıktı...ama aynı zamanda animasyon açısından çok iyi bir öğrenim deneyimi oldu. İki yıl sonra ise Industrial Light & Magic’te çalışmaya başladınız. Belki de hikayenizin en heyecanlı yanlarından biri bu. Orada Jurassic Park III, Star Wars Episode 2: Attack of The Clones ve Men In Black 2 gibi filmlerde çalıştınız. Bize bu filmlerdeki çalışma tecrübelerinizi aktarır mısınız? ILM’de yaptığım işlerin çoğu gerçekçiydi...insan animasyonlarından yaratıklara. Çizgi film animasyonu da yapsanız gerçekçi animasyon da yapsanız, hepsinin kendi zorlukları vardır. ILM’deki önemli şey karakterleri öyle bir yaratmalıydık ki hem aynı dünyada yaşıyormuş gibi hem de doğal görünmeleri gerekiyordu. Bu yüzden elimden geldiğince hareketli hayvan referansları, spor arşivleri üzerinde çalıştım. Bu bana çok yardımcı oldu. Ve sürecin kendisi de herhangi bir stüdyodakiyle aynı. Üslerinizle işleri tartışmak için haftalık toplantılar falan yapılıyor ya da "günlükler" olarak anılan toplantılar.Burada neredeyse tüm animatörler süpervizörlerle beraber değerlendirme yapıyor. Ve tabi hangi şov üzerinde çalıştığıma ve onun dinamiklerine bağlı olarak değişiyor. Her şov farklıydı. Diğer animatörlerden de aynı derecede değerlendirme aldım. Bu çok kullanışlıydı ve bana çok yardımcı oldu, çünkü işimde ilerlememi sağladı ve sadece minimumla yetinmememe yol açtı. Beraber çalıştığım bazı animatörler yapısal açıdan çok eleştireldi... Bu da benim yaptığım her çekimde yerimi bulmamı sağladı. George Lucas’la kişisel olarak tanışma imkanı buldunuz mu? Bu kadar büyük bir başarıdan sonra adınızı "Finding Nemo", "The Incredibles" ve son olarak "Cars" gibi büyük Pixar filmlerinde duymak bir sürpriz değil. Pixar maceranız 2002 yılının Haziran ayında başladı. Bu nasıl oldu? ILM’de çalışırken bir yerden sonra anladım ki çizgi film tarzı işleri özlemişim. Gerçekçi animasyonu çok seviyorum ve benim için öğrenmek harikaydı...ama bir yanımın çizgi film alanını öğrenmek istediğini hissediyordum. Pixar her zaman aklımdaydı. Milyonlarca kez başvurdum ve her gelen ret mektubu daha iyi olmam gerektiğini hatırlatıyordu, öğrenmeye devam ederken eğlenmeyi de unutmamamı...bu da işlerime yansıyacaktı. Sonuçta ben "Men In Black II" üzerinde çalışırken, Pixar’da çalışma fırsatı sunuldu ve iki kez düşünmedim bile. ILM’deki birçok insanla çalışmayı çok özleyeceğimi biliyordum...ama işi açısından biliyordum ki derinlerde Pixar gitmek istediğim yerdi. Neredeyse 4 yıl sonra, hala ilk günkü gibi heyecanlıyım...ve çalıştığım iki projede olsun sıradaki projelerde olsun çalışma şansı bulduğum için çok şanslı hissediyorum. Bu biraz zor, belki de saçma bir soru ama... Bize en çok hangi Pixar filmini sevdiğinizi ve nedenini söyler misiniz? 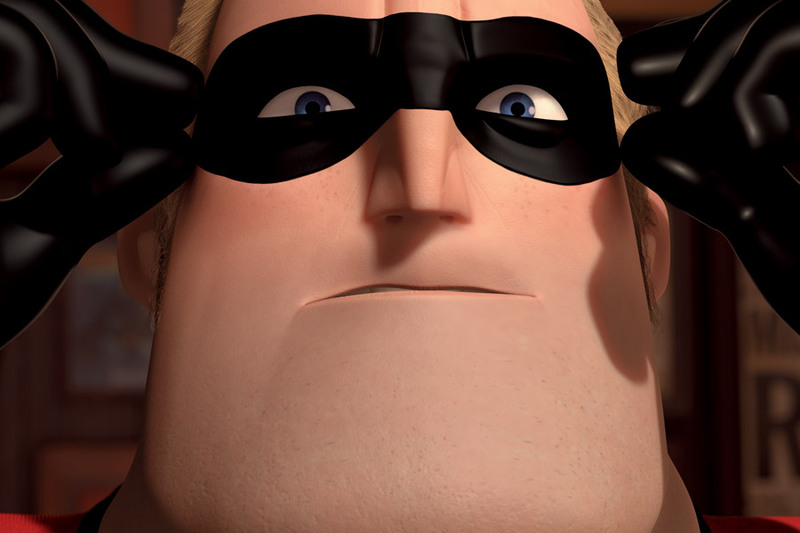 Sanırım "Incredibles"la "Cars" arasında kalırdım. Değişik sebeplerden. Süper kahraman çizgi filmleri ve arabalara meraklı bir çocuktum...yani bununla çok ilgisi var. İki deneyim de inanılmazdı. Brad Bird’den de John Lasseter’den de çok şey öğrendim. "Cars", Pixar’da çalıştığım süre boyunca üzerinde en çok çalıştığım projeydi ve daha zorlu animasyonlar yapmam için bana güvendiler. Bu yüzden bu işten kişisel olarak daha çok zevk aldım. Teslim tarihleri yaklaşırken ciddi bir baskı hissediyor olmalısınız, hepimizin bu işlerde hissettiği gibi. Ama özellikle animasyonda gerçekten sabır gerektiren bir süreç söz konusu: icra etmek. Modellemede hangi yazılımları ve ne tür bilgisayarları kullanıyorsunuz? Biliyor musunuz, teknik açıdan beni yakaladınız. Pixar’daki diğer teknik alanlarla o kadar tanışık değilim. Bu soruyu yanıtlamak için doğru insan olduğumu sanmıyorum. Gelecekteki en büyük amacınız nedir? Bilirsiniz, bir taraftan müzik yapmaktan zevk alıyorum, genelde beste ve müziği filme ekleme dalında. Bu her zaman daha çok içinde olmak istediğim birşey olmuştur. Ayrıca storyboard ve kurgu konusunda da çok şey öğrendim. Sanırım gelecekteki amacım Pixar için büyük işlerde çalışmaya devam etmek, öğrenmek istediğim ve ilgili olduğum film dallarında bilgimi artırmak ve projelerime devam etmek, belki son zamanlarda es geçtiğim sosyal hayatımı artırmak...ve tüm bunları yaparken çok eğlenmek. Yaptığım her ne olursa olsun ondan zevk almak benim için çok önemli, aksi halde birşeylerin eksikliğini hissediyorum. Müzik koleksiyonumun 2/3ü Film Müzikleri...Onlardan ilham alıyorum. Geri kalan da endüstriyel müzik/elektronik ve hip hop karışımı. Üçüncü sayımızın teması "eski". Bu kelime size ne ifade ediyor? Eski günlerden ne hatırlıyorsunuz? Neyin özlemini çekiyorsunuz? "Eski"... Birçok şeydir. Eski günlerden aklıma 97 yılında büyük perdede Star Wars Özel’i izlemek için bilet sırasında beklemenin heyecanı geliyor. Bir film izlemek için heyecanla bekleyen bir sürü insan...ve bir arada izlemek için beraber çığlık atmak için. Evde film izlemek popülerleştikçe eminim bu tip sahneler artık tekrarlanmıyor olacak...ve daha çok Multiplex Sinema salonalrı açıldıkça. Eski sinema salonları bir şekilde özlediğim birşey ve yılları geçtikçe yerlerinde kalmalarını isterdim.